Kylian Mbappe insists he has no interest in succeeding Cristiano Ronaldo as the next winner of the Ballon d’Or. The teenager produced an outstanding display as France edged a tight World Cup semi final against Belgium, reaching Sunday’s showpiece against either England or Croatia thanks to Samuel Umtiti’s second half header. 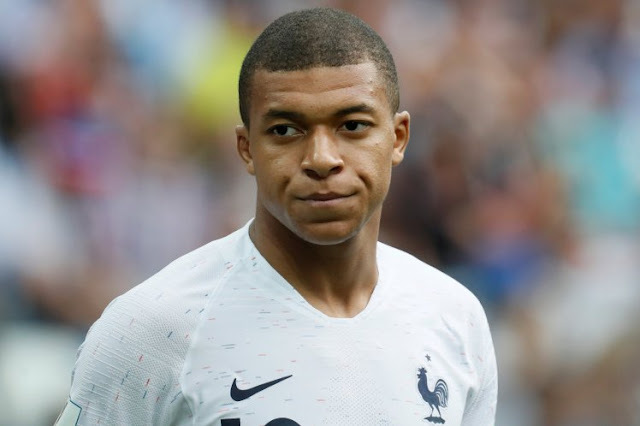 Paris Saint-Germain striker Mbappe has been tipped to follow in the footsteps of his idol Ronaldo, whose transfer from Real Madrid to Juventus was confirmed earlier on Tuesday as the 33-year-old ended his nine-year, trophy-laden spell in the Spanish capital. MBAPPE WHAT HAVE I JUST SEEN FFSSSSS pic.twitter.com/NN6ienxm7S — Ⓑ (@BULLETlN) July 10, 2018 ‘I wasn’t born in 1998, so I have never seen people on the Champs-Elysees celebrating. ‘I am going to give everything in this final.